A tetracube is a solid made of four cubes joined face to face. 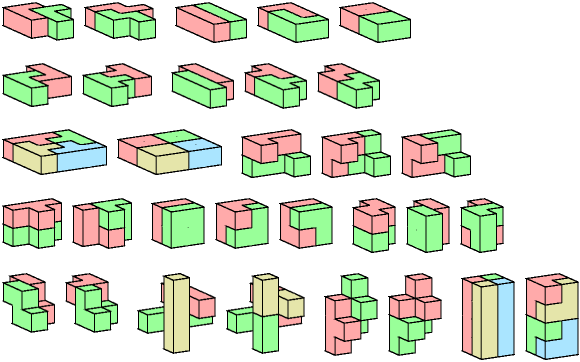 There are 7 tetracubes, not distinguishing reflections and rotations. Here are minimal compatibility figures for all pairs of tetracubes.